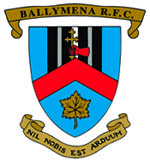 Ballymena rugby club has a thriving youth section currently fielding teams at U14, U16 and U18 level. Training Sessions are held every Wednesday evening between 7pm and 9pm. Matches are usually on a Saturday morning at 11am. New players are always welcome. Please contact our Youth Convenor Don Pattison on 07816 777367 for more details. Subscriptions for this season are set at £85.